Women's History Month is drawing to a close, but there's still time to celebrate some of the women who are making history each day while over the road. Let's meet another member of our female driver workforce: Vicky Bumgardner. At 76 Vicky is still going strong, she has had a varied career. Vicky started out by working for her brother, hauling vegetables from the field to market. At 21 she was working for the circus, on the trapeze and working with animals. On to LA in later years. One day she would be driving a movie star to a set, the next day a truck hauling equipment. Vicky came to CFI 20 years ago and runs team with her husband, Bill. 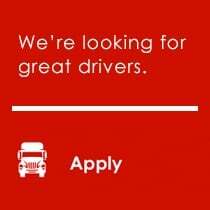 They are independent contractors here and together they have 5.4 Million Miles of experience. From the circus to CFI, that's certainly a story worth celebrating! Thank you Vicky for being a part of the CFI family and inspiring us! 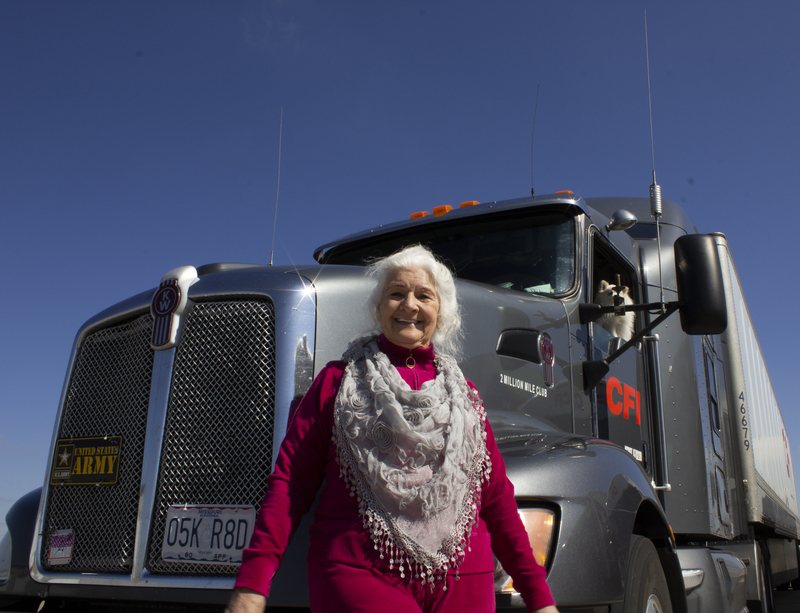 Are you looking to learn more about life as a woman in trucking? 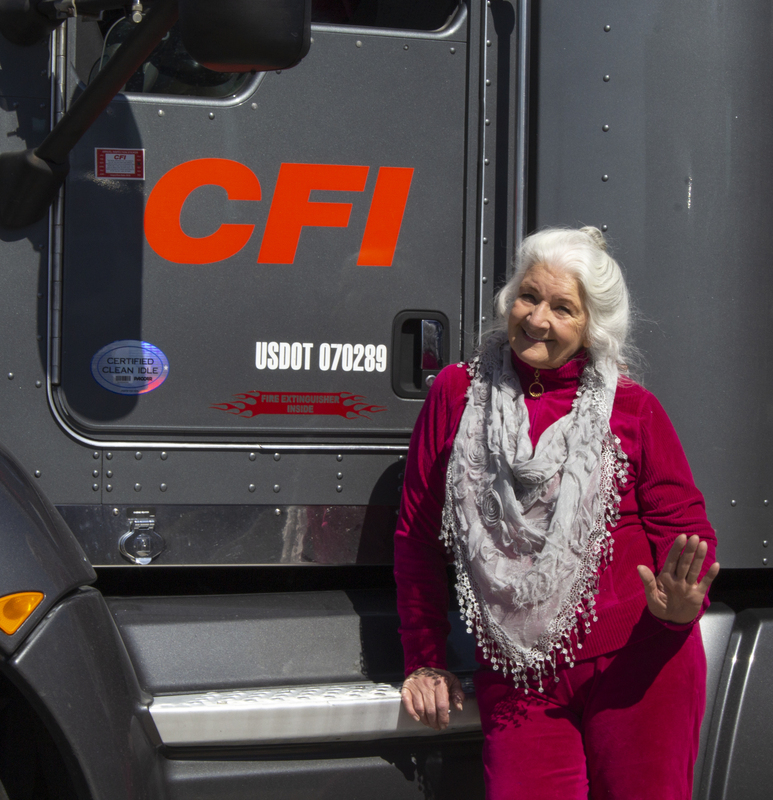 Our SheDrivesCFI program highlights some of the amazing female drivers who have been America's Road Team Champions, taken home honors in the Missouri Truck Driving Championships and more! Through this program, we hope to inspire more women to consider trucking as a career opportunity. Get started by downloading our SheDrivesCFI eBook here.